Food and beverage processors choose to partner with a top-rated supplier – like Arroyo Process Equipment – for many reasons. We have all of the fluid handling equipment required to keep processing operations running smoothly and efficiently, and we only represent the finest manufacturers of pumps, mixers, filters, strainers and other specialty products. 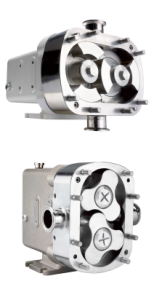 We have an incredible assortment of centrifugal and positive displacement pumps including milk pump, peristaltic pump, metering pump, water pump and sanitary lobe pump models. The equipment in our product lines is used in countless industries other than food and beverage processing such as citrus, food and beverage, petroleum, agriculture, and more. The terms milk pump and peristaltic pump are generic terms that refer to the type of fluids being pumped by this equipment. Write Flow Technologies manufacturers circumferential piston pumps and rotary lube pumps. Both pumps are examples of more specific types of the hygienic pump equipment that is often used for sterile or spring water processing along with milk processing applications. Take advantage of over five decades of expertise and knowledge by partnering with the application engineers at Arroyo Process Equipment. Our engineers will determine the best milk pump, peristaltic pump or other type of pump needed for your processing operation. Our support team is always available to help customers in Florida, Bahamas, Cuba, Trinidad, Tobago and around the world with processing equipment selection. Our pump specialists will carefully match operation and equipment specifications to ensure that they will work well together to produce exceptional processing results. We can ship pumps and pump parts to your facility from our headquarters in Florida. Contact one of our courteous associates today for more information or technical support.